Periodic thyroid check is extremely important in case of thyroid disorders in order to keep a track of the condition and evaluate the effectiveness of the treatment. If the thyroid gland is unable to produce enough of these two hormones due to any reason then the condition is called Hypothyroidism and some of its recognizable symptoms include weight gain, lack of energy, depression, etc. On the other hand, if the thyroid gland produces an excess of these hormones then such a condition is known as Hyperthyroidism and some of its symptoms include sudden weight loss, palpitations, anxiety and a sense of unrest. 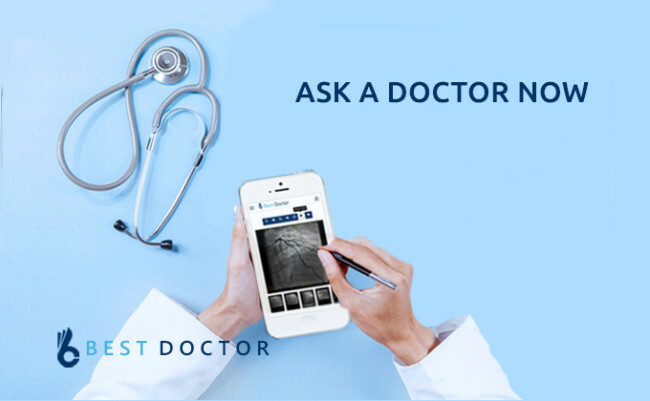 If a doctor suspects any of these two conditions or a thyroid disorder, then he may order a few thyroid tests for a complete thyroid check up. These tests are collectively known as thyroid function tests and it includes both blood tests and imaging procedures. The most important initial thyroid blood test for understanding thyroid function is to measure the level of TSH (Thyroid Stimulating Hormone) in a blood sample. While a high TSH level means the thyroid gland is not working effectively due to a problem directly affecting the thyroid gland (hypothyroidism), a low TSH level indicates that a person has an overactive thyroid gland and it is producing too much thyroid hormone (hyperthyroidism). In some cases, a low TSH level may also result due to any abnormality in the pituitary gland. A normal TSH level means the thyroid gland is functioning effectively. T4 is available in the blood in two forms. Protein bound T4 cannot enter the tissues that need the thyroid hormone. Free T4 can enter the target tissues and show its effect. The fraction of the free T4 is measured to determine how well the thyroid is working. The thyroid blood test for measuring free T4 is called Free T4 Index. Individuals with hyperthyroidism have elevated Free T4 Index, whereas individuals with hypothyroidism have a low Free T4 Index. Doctors usually recommend TSH test and Free T4 tests together to determine the functioning of the thyroid gland with accuracy. The T3 test is usually done to diagnose hyperthyroidism or to measure the severity of hyperthyroidism. Patients with hyperactive thyroid gland will have elevated T3 level. The T3 test is rarely done for hypothyroid patients. In certain cases, such as during pregnancy or while on birth control pills, high levels of hormones T3 and T4 can be present. This happens because estrogen increases the level of binding proteins. In such cases, the doctor may recommend both TSH and Free T4 test form evaluation of thyroid function. The immune system is the body’s natural defence mechanism that protects the body from foreign microorganisms such as bacteria and viruses. The immune system produces antibodies from the blood cells called lymphocytes that destroy these foreign invaders. But, in patients with hypothyroidism or hyperthyroidism, these lymphocytes can sometimes produce antibodies that fight against their thyroid gland that either over-stimulates or damages the gland. This is an important thyroid blood test that measures the levels of these thyroid antibodies in the blood which may help to identify the cause of the thyroid disorder. Positive anti-thyroid peroxidase and/or anti-thyroglobulin antibodies test result in a patient with hypothyroidism indicates Hashimoto’s Thyroiditis – an autoimmune thyroid disease. Thyroglobulin test is usually done in patients who have already undergone surgery for thyroid cancer. Thyroglobulin is a type of protein that is produced by normal thyroid cells as well ad cancerous thyroid cells. This test helps to monitor the condition of the patient after the treatment. Radioactive Iodine Uptake (RAIU) Test is by far one of the most important thyroid tests. 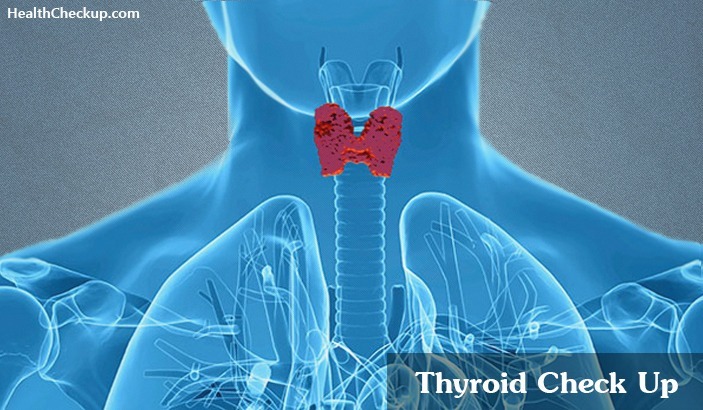 The thyroid gland has to pull a large quantity of iodine from the blood in order to produce the appropriate amount of T4 hormone and the thyroid gland as a very active mechanism for performing this task. Radioactive Iodine Uptake test measures the effectiveness of this activity. For this test, the patient swallows a small amount of radioactive iodine. The radioactivity of the iodine helps the doctor to track the location of the iodine molecules in the body. This test measures the amount of radioactive iodine that is taken up by the thyroid gland which allows the doctors to determine whether the thyroid gland is functioning normally or not. A very high Radioactive Iodine Uptake means overactive thyroid gland or hyperthyroidism, while a low Radioactive Iodine Uptake means an underactive thyroid gland or hypothyroidism. Thyroid scan forms an integral part of thyroid function tests. It is a type of nuclear medicine imaging procedure. In this test, small amounts of radioactive material are used to create s picture of the thyroid gland that provides information about the gland’s structure and function. A thyroid scan provides information about the size, shape and position of the gland. It can be sued to find the cause of hyperthyroidism and check for thyroid nodules. For this test, a small amount of radioactive iodine or radioactive technetium is injected into the vein or swallowed by the patient. A gamma camera detects the radioactive material in the body and sends the images to the computer. Nodules that produce too much thyroid hormone show up clearly in this test. It can also identify Graves’ disease. An ultrasound of the thyroid gland is an imaging thyroid function tests that reveal the size and texture of the gland as well as a pattern of autoimmune inflammation. The images can also reveal nodules or growth inside the gland that may indicate a malignant tumor. Your doctor may order a few of these tests together as a part of your thyroid check in order to understand the functioning of your thyroid gland and diagnose the precise cause of the thyroid disorder. The course of treatment and medications are dependent on the results of the above-mentioned thyroid functioning test. What Happens If You Eat Expired Food?